MK Dons ensured Notts County's barren home run continued into 2013 with a 2-1 win at Meadow Lane on New Year's Day. The visitors exposed County's defensive frailties to take the lead in the sixth minute when a Ryan Harley free-kick found Darren Potter in space and the midfielder headed home unopposed. The lead was doubled in the 13th minute when Daniel Powell skipped away from lacklustre challenges and prodded the ball past goalkeeper Bartosz Bialkowski. 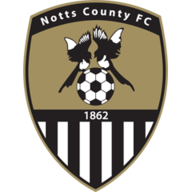 Notts were back in the game after 56 minutes when Shaun Williams was adjudged to have brought down Alan Judge inside the box and Jamal Campbell-Ryce sent David Martin the wrong way from the penalty spot. The hosts should have levelled after 70 minutes when Lee Hughes was put through by substitute Yoann Arquin but the veteran striker lost his footing at the vital moment with just Martin to beat. 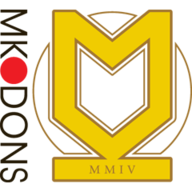 The luckless Hughes then struck the crossbar in the 75th minute with a first-time shot from Julian Kelly's low cross as County pressed for the equaliser but MK Dons held on.